This post is sponsored by Lifeliqe. All opinions are my own. One of the highlights from my trip to ISTE in San Antonio this year was meeting the team at Lifeliqe! I had the chance to try out the Lifeliqe HoloLens and curriculum to see their new tool in action. During my demo I was able to move through a set of lessons. It also included a 3D model of a shark. It was absolutely wild to see the model pop out in front of me. I’m familiar with Google Cardboard virtual reality experiences. With the Lifeliqe HoloLens I could use my fingers to spin the 3D model. I could navigate this mixed reality space and access curriculum materials straight from the headset. The team at Lifeliqe has been exploring augmented reality in education for years and really are pioneers in the field of interactive 3D, augmented reality and virtual reality. Lifeliqe HoloLens was designed to bring visual, hands-on and exciting learning experiences on range of devices. This includes everything from desktop PCs and tablets using Lifeliqe’s mobile and standard app. It also includes augmented reality with all 1,100+ interactive 3D models, to immersive virtual reality with Lifeliqe VR Museum available for HTC Vive and mixed reality with the brand new Lifeliqe HoloLens app released at ISTE this year. 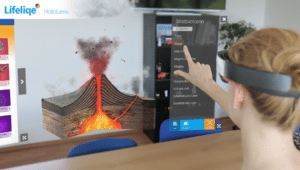 The Lifeliqe HoloLens app is a result of the first K-12 curriculum pilot in the United States. In a survey conducted after the pilot, 82.7% of the students said they felt more curious about the topic and 81% of the students said they could better understand the subject matter when using Lifeliqe on HoloLens. Their team partnered with Microsoft and Lifeliqe is currently piloting the Lifeliqe HoloLens in 10 more schools worldwide. 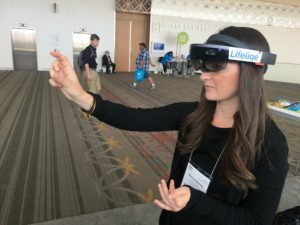 During the pilot the Lifeliqe HoloLens will be used in Science classrooms, makerspaces, as well as learning spaces where the HoloLens version of Lifeliqe is used along with the Lifeliqe mobile app. There are currently 20 models and 10 lesson plans with dozens more available in September. All Lifeliqe lesson plans align to NGSS and Common Core and the lesson plans include easy access to the 3D models. 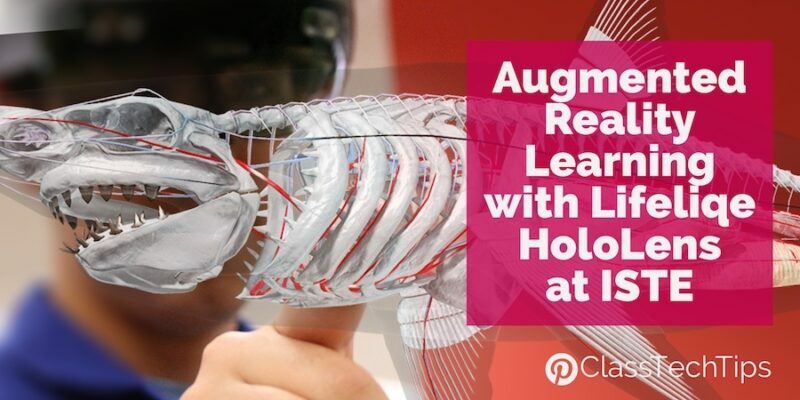 If teachers, schools, or districts are looking for hands-on, engaging science curriculum you’ll definitely want to check out Lifeliqe HoloLens. 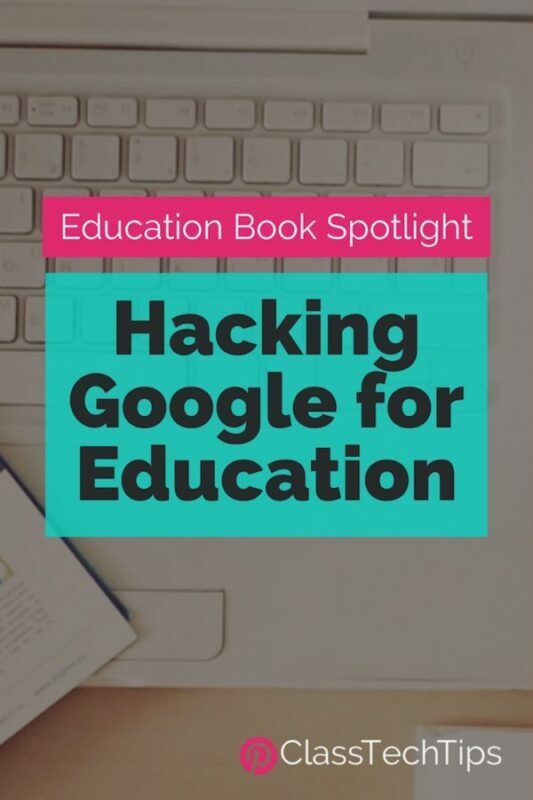 Their resources also integrate NGSS and these materials are accessible for schools investing in HoloLens technology. 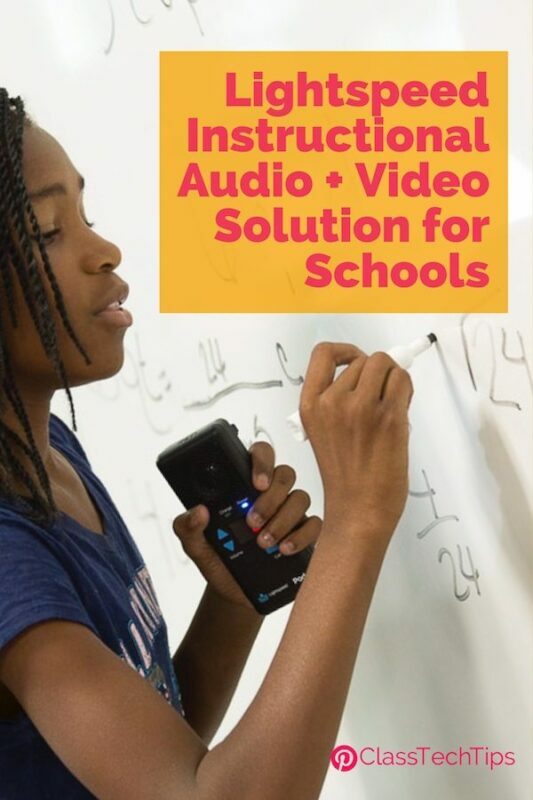 They are also available for students using tablets and desktops to connect students with engaging learning experiences. Learn more about Lifeliqe and Lifeliqe HoloLens by visiting their website!